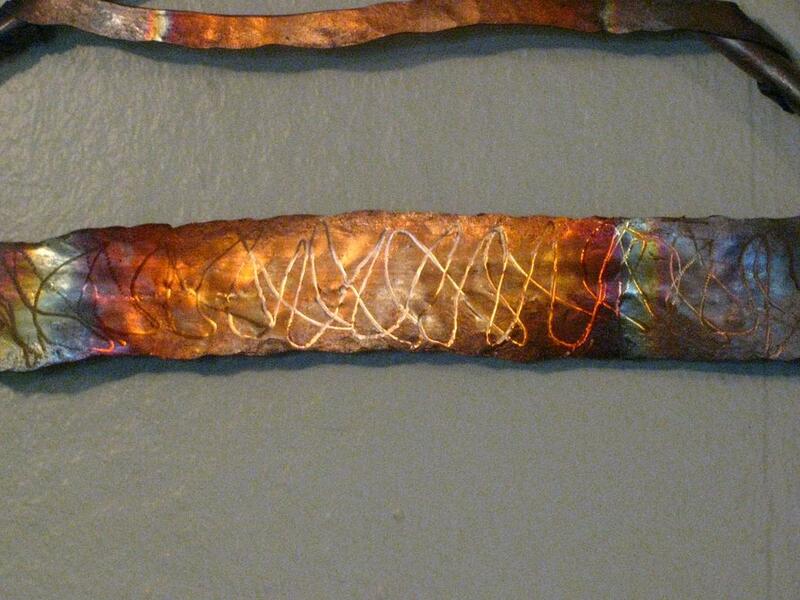 "Last First" is a piece I completed March, 2010. 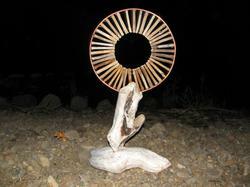 I've dedicated this to a woman I respect and love dearly. 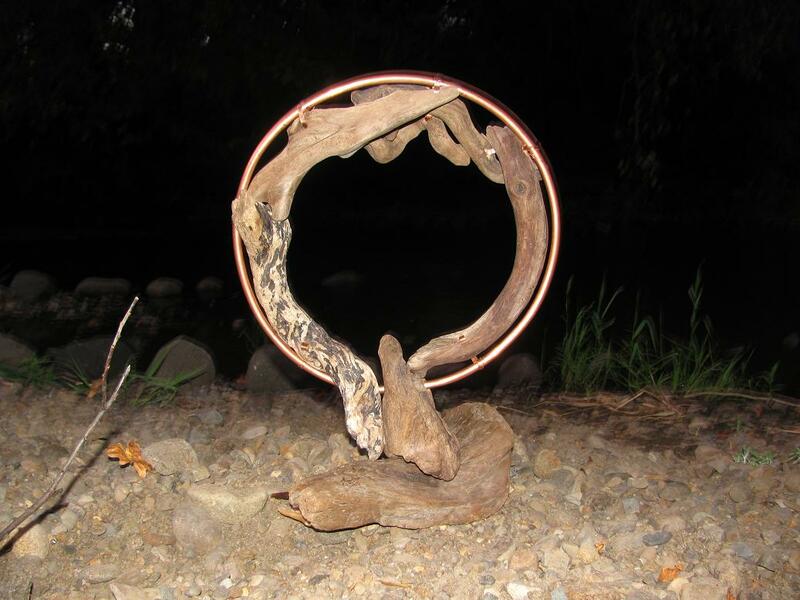 It was fun combining the copper and the driftwood. 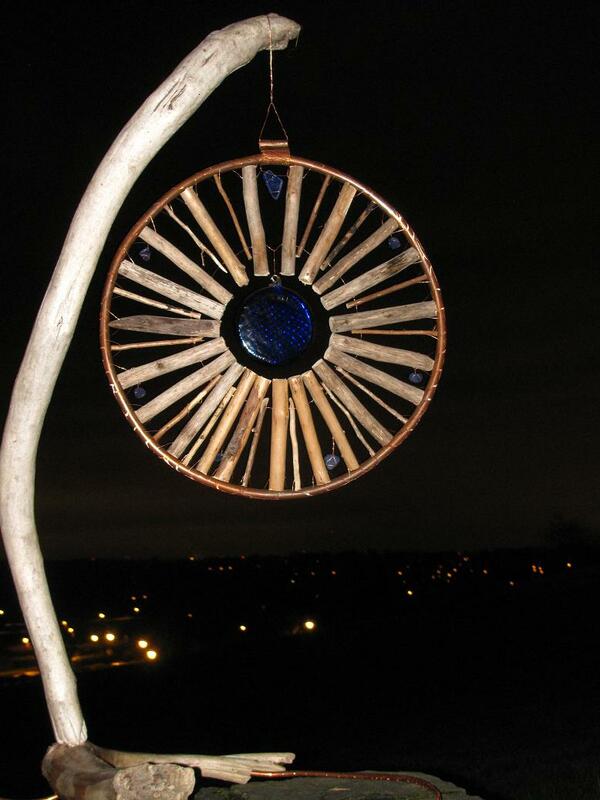 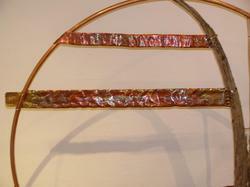 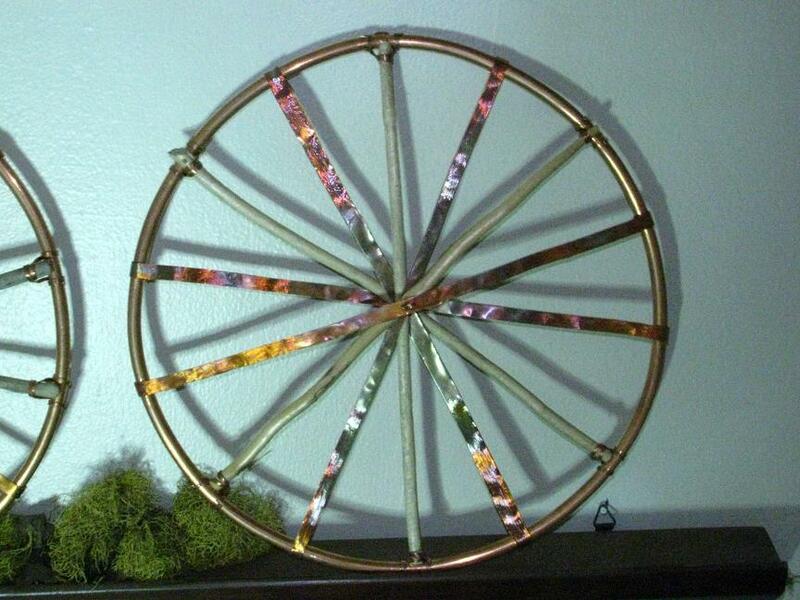 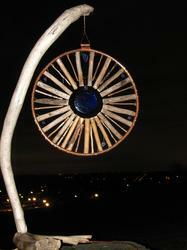 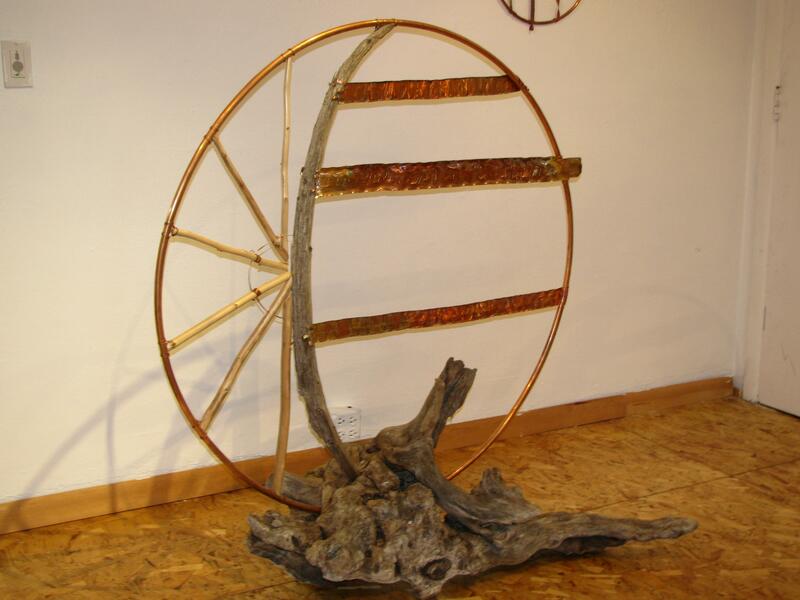 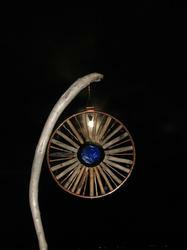 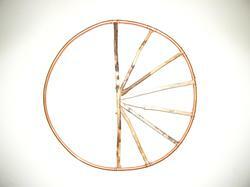 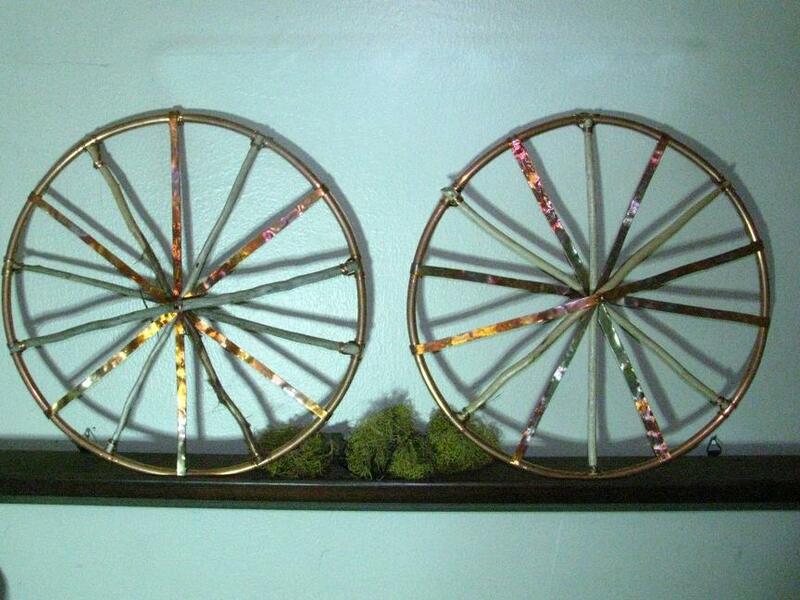 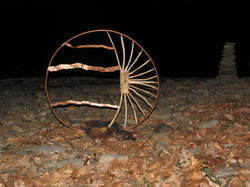 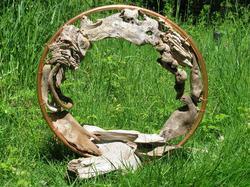 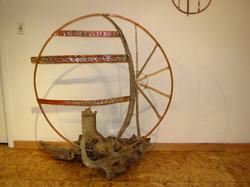 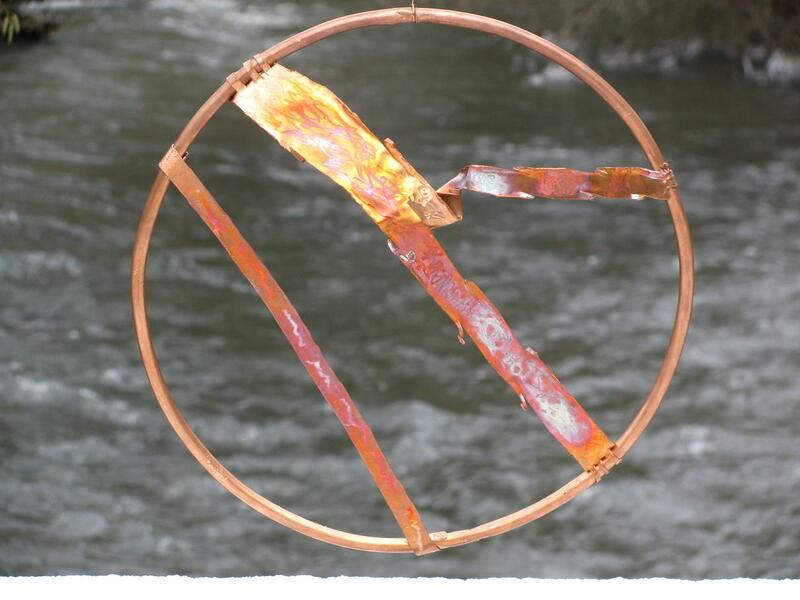 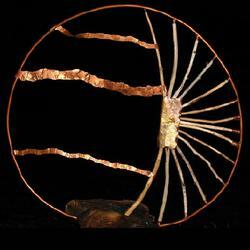 I will be making another piece using copper and driftwood soon. 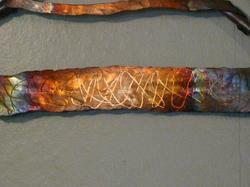 This piece is about 2 feet high and 2 feet long. 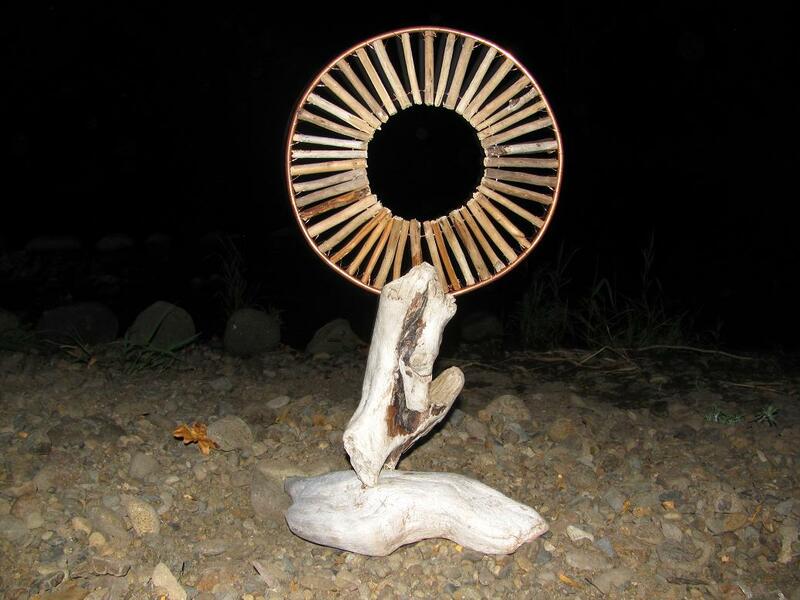 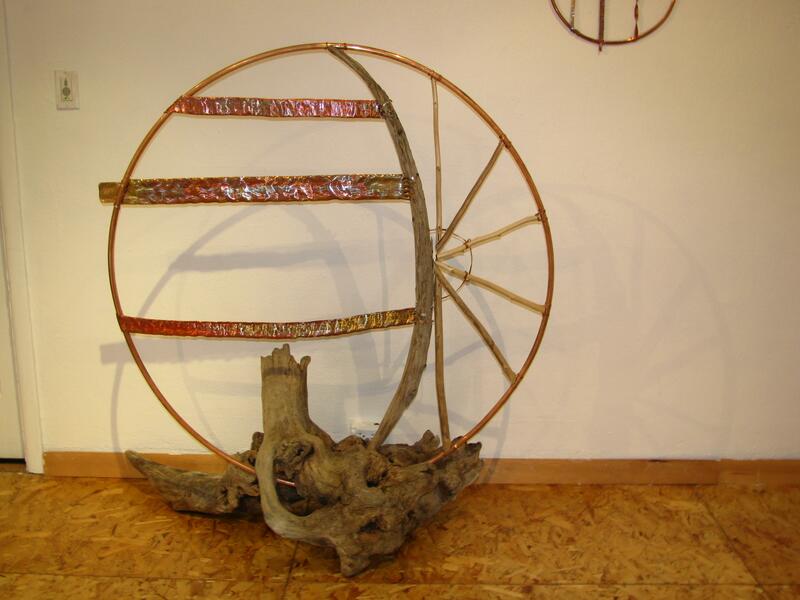 The base, about 8 inches wide, is driftwood that was rubbed with a deer antler to bring out a shine to the wood. "Blue Moon" #1, 4 ft high, 2 feet wide 12/2010. 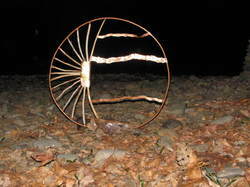 Shown in St. Petersburg, Russia 7/2011. 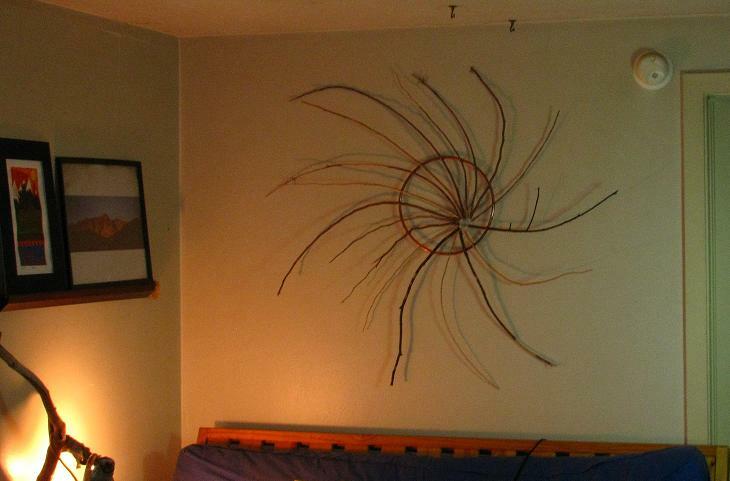 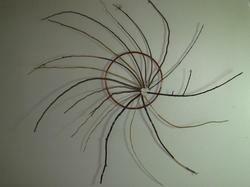 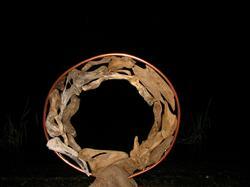 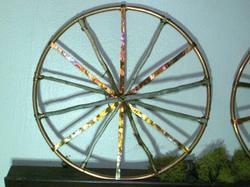 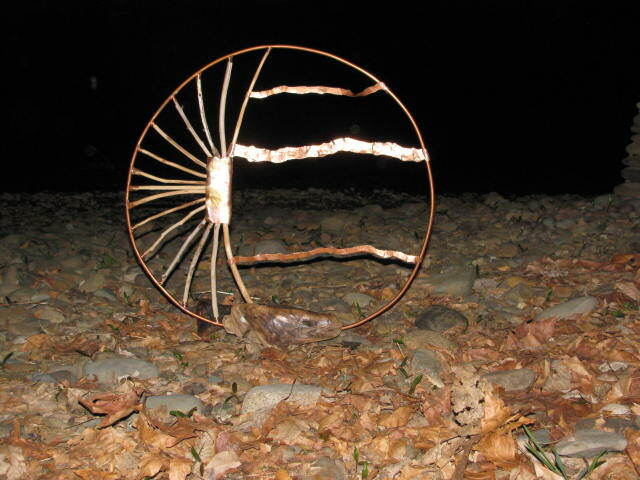 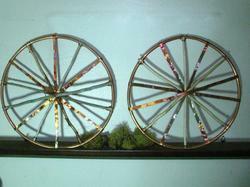 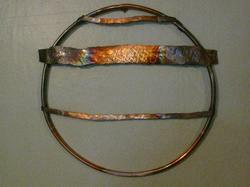 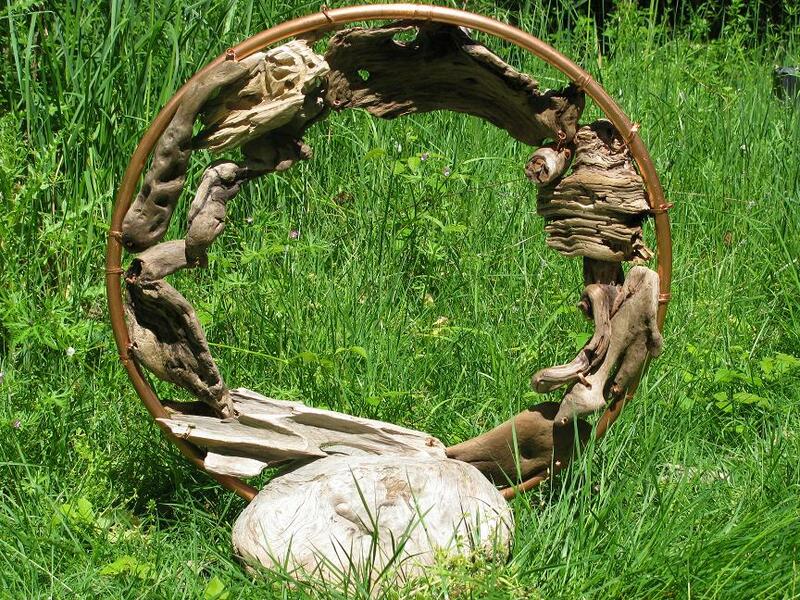 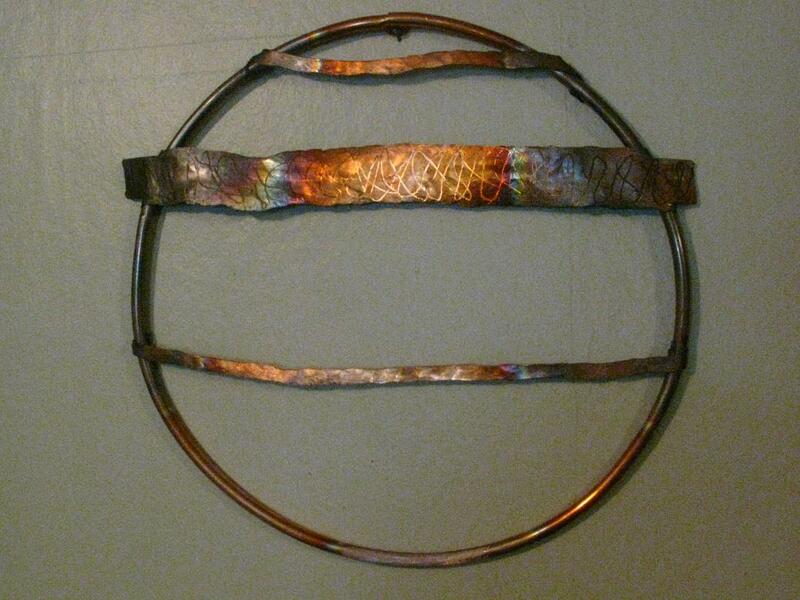 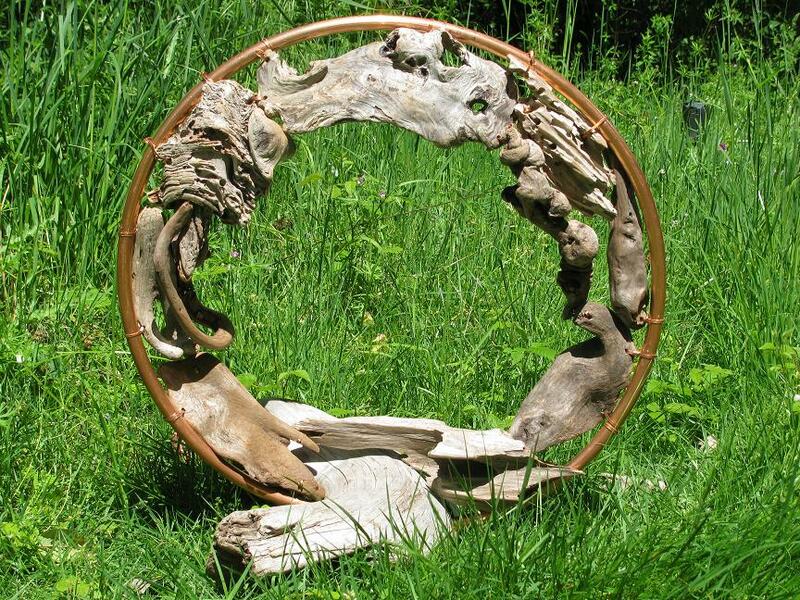 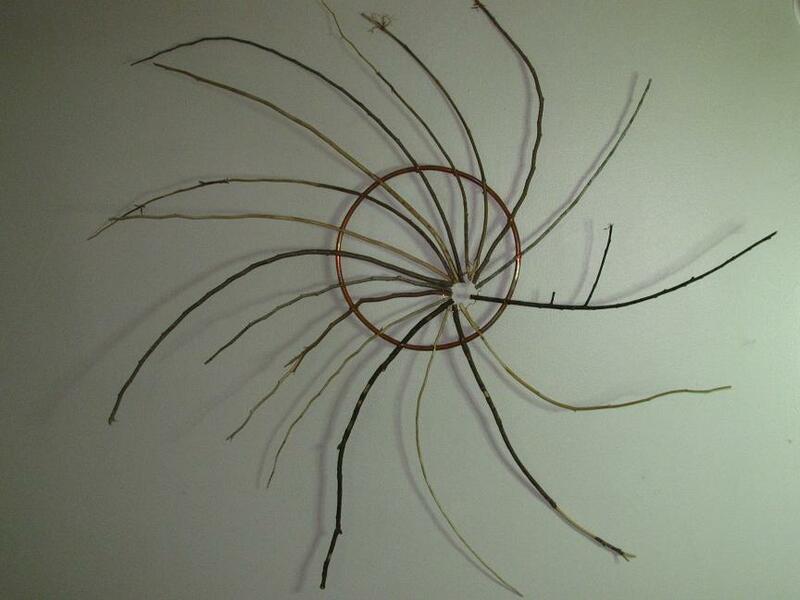 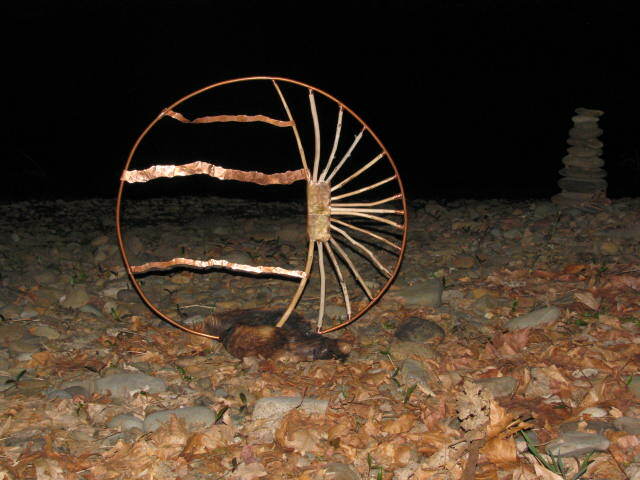 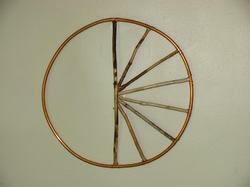 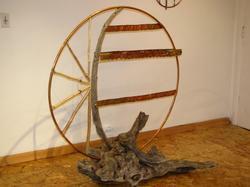 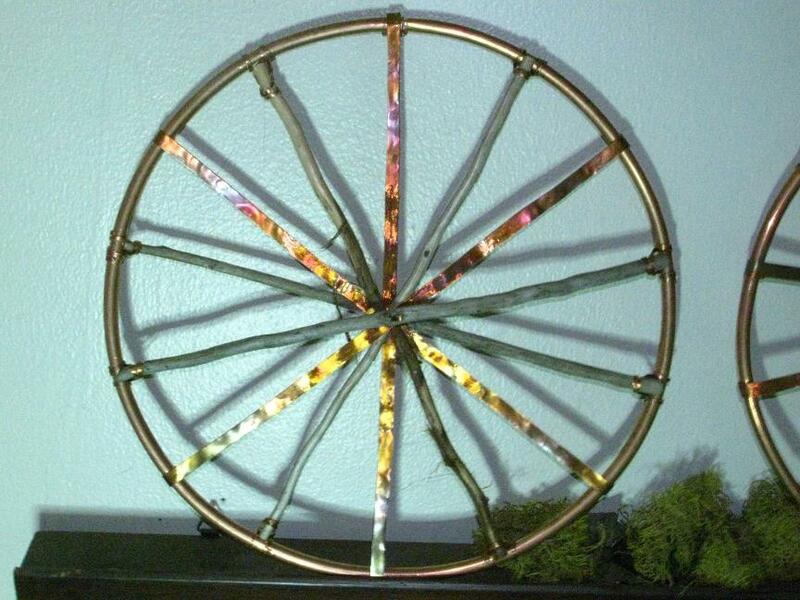 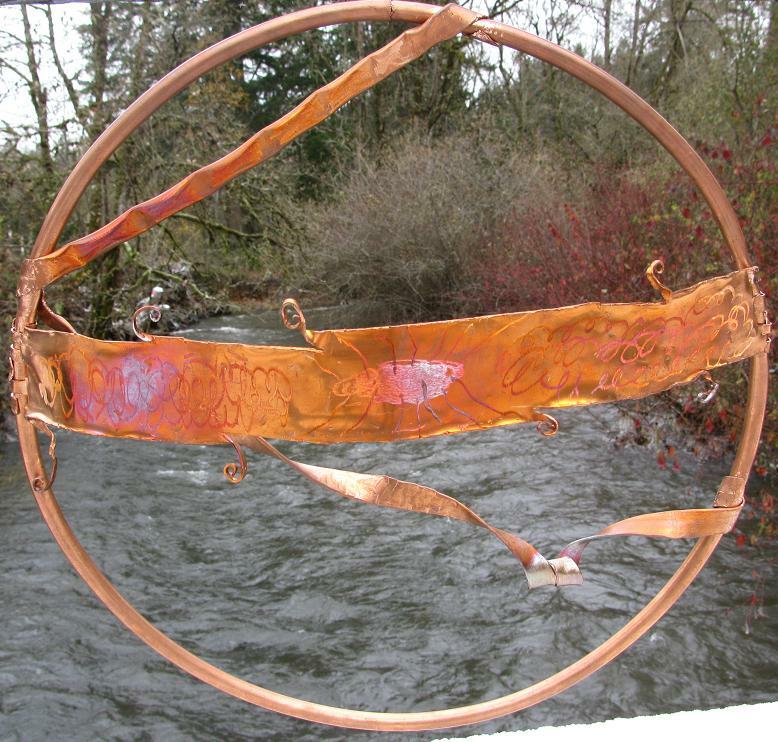 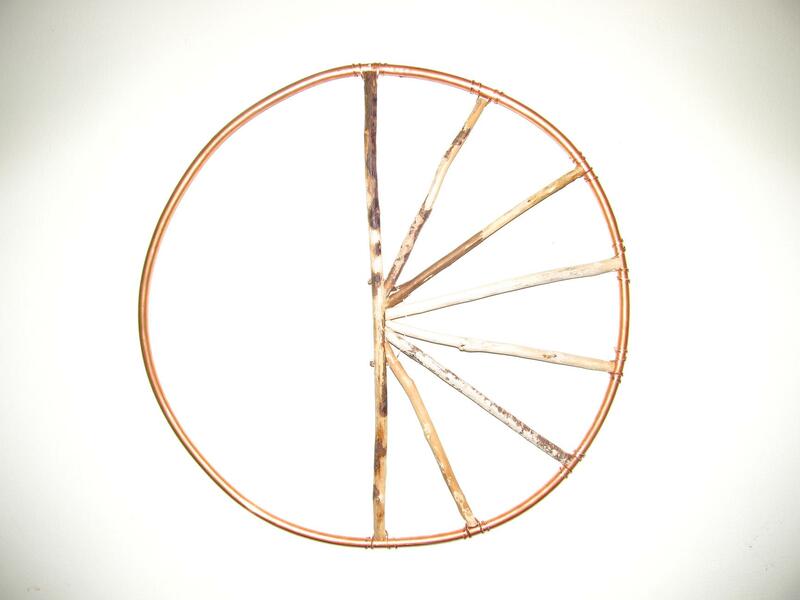 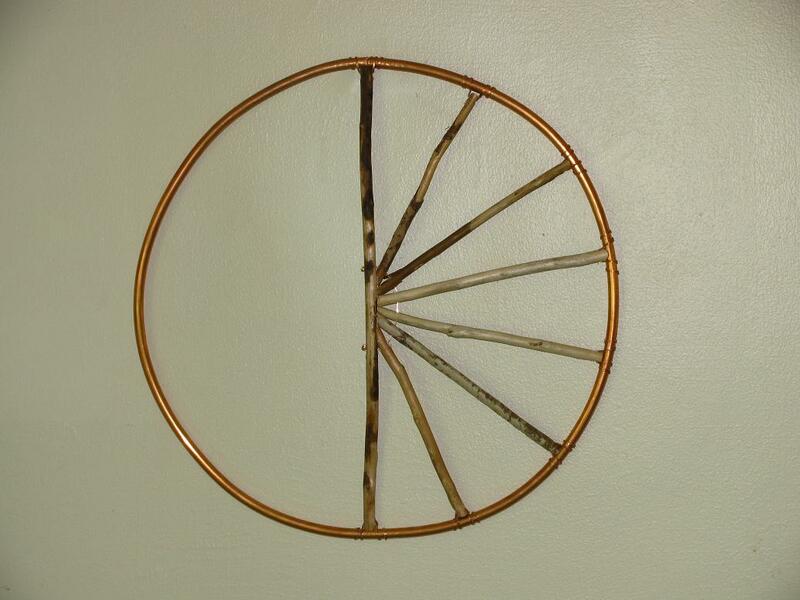 "Half," a wall sculpture, 22" in diameter. 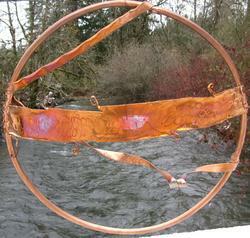 "Full Flight" Shown at Art in the Pearl, Portland, OR 2010, St. Petersburg, Russia, July 2011.